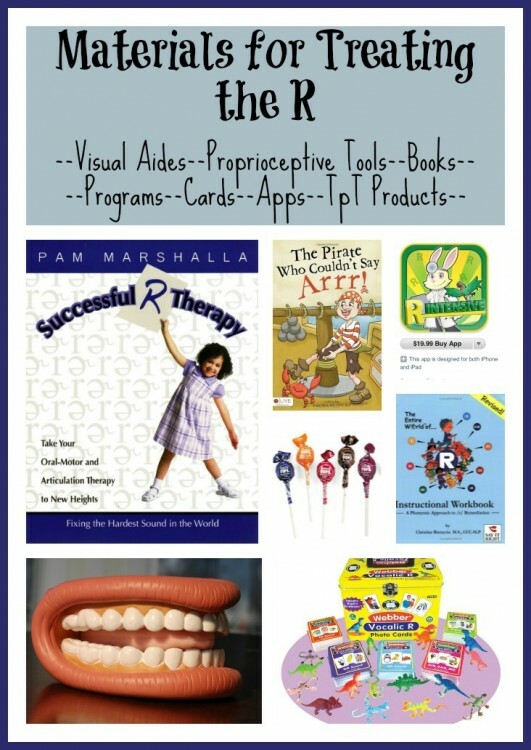 As I mentioned yesterday, many of the books/programs that I share below have visual aides to help you show children how to produce the /r/. I LOVE the Jumbo Mighty Mouth Hand Puppet from SuperDuperInc and use it ALL THE TIME. Yesterday I went over all these items. Here are the links for these items again for your convenience. 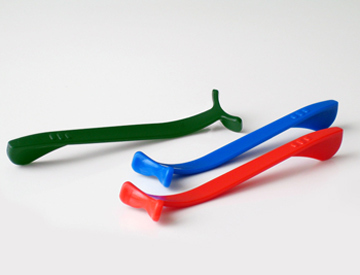 Tongue LifteR: Commercially available manipulation devices, similar to Speech Buddies (well, similar in nature..I have never used either so I have NO idea how they really compare to each other!). Dum Dum Pops or Tootsie Pop Mini can be used to touch/rub areas of the mouth to teach placement and awareness. There are many books and programs out there on the subject of the /r/. I personally own several different items and use aspects of ALL of them in my sessions when working on the /r/. Here are some that I recommend or your fellow SLPs have recommended. Successful R Therapy: Fixing the Hardest Sound in the World by Pam Marshalla. As I have mentioned before..this is the most comprehensive book on how to elicit the /r/ sound that I have ever read. There is a TON of information in this book! 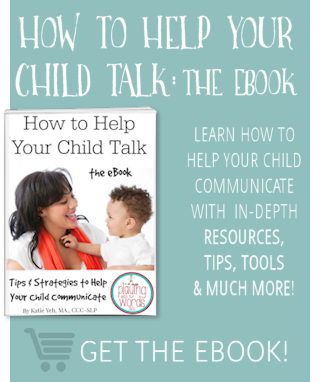 This is not a “program” like some of the others I am going share, but rather a book full of information to help you understand why a child is having difficulty producing the sound and how to teach the sound. 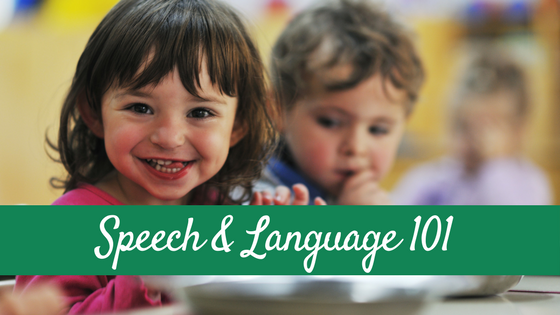 According to the description on Amazon: “Excellent for student and professional SLPs. Facilitate correct R in the most difficult clients with this unique blend of oral-motor and traditional articulation therapy. Understand how the jaw, lips, and tongue work for correct R production. Understand the difference between the Consonantal and the Vocal R, and between a Tip R and a Back R. Motivate clients to participate and succeed in R therapy.” GREAT read, and I highly recommend it. The Entire World of /r/ Series by Christine Ristuccia and others from Say it Right. I have some of the books in this program and love them! This program breaks down the /r/ into the different types which I find is the best way to tackle this sound. Vocalic R to Go by Beverly Plass from LinguiSystems: I have this workbook and use it all the time when working on vocalic /r/. This is another that separates the /r/ into the different vocalic /r/ types. Turn and Talk R by SuperDuperInc: This is a flip book that can be used to work on /r/. Let’s Hear it for /r/! 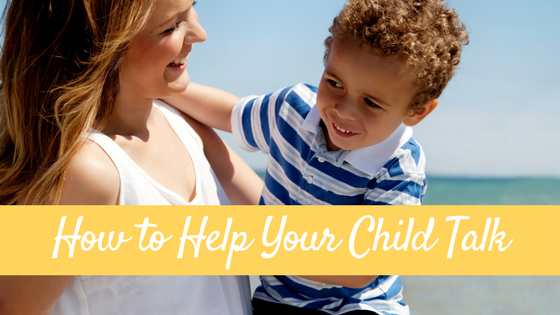 This is a Webinar provided by Dawn M. Moore, CCC-SLP. You can check out the handout and info on the course by following the link and scrolling down to the “Articulation Information.” This method uses coarticulation to address the /r/ and I have used Dawn’s method’s in my sessions as well. The Pirate Who Couldn’t Say Arrr! 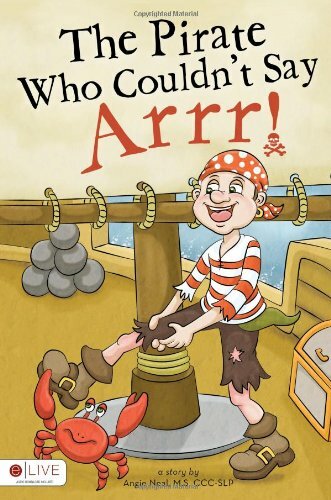 This is such an adorable book written by Angie Neal, MS CCC-SLP. 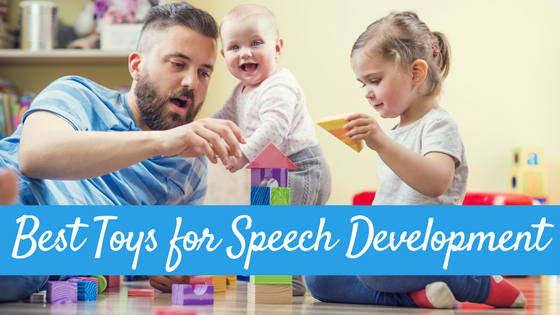 Miss Speechy at Speech Time Fun This is such an adorable book written by Angie Neal, MS CCC-SLP. Miss Speechy at Speech Time Fun shares how she uses this fantastic book in therapy. Check out her post HERE. Webber Vocalic /r/ Photo Cards: These are great for working on the different vocalic /r/ sounds. R Intensive by Smarty Ears This one was recommended several times and it looks like it retails for $19.99 and is available on the iPhone, iTouch and iPad. R app by Pocket SLP This one retails for $4.99 and is available on the iPhone, iTouch and the iPad. Articulate It by Smarty Ears This is a general Articulation App that retails for $38.99 and is available on the iPhone, iTouch and iPad. Articulation Station Pro This is another WELL recommended general articulation app that retails for $49.99 and is available on the iPhone, iTouch and iPad. 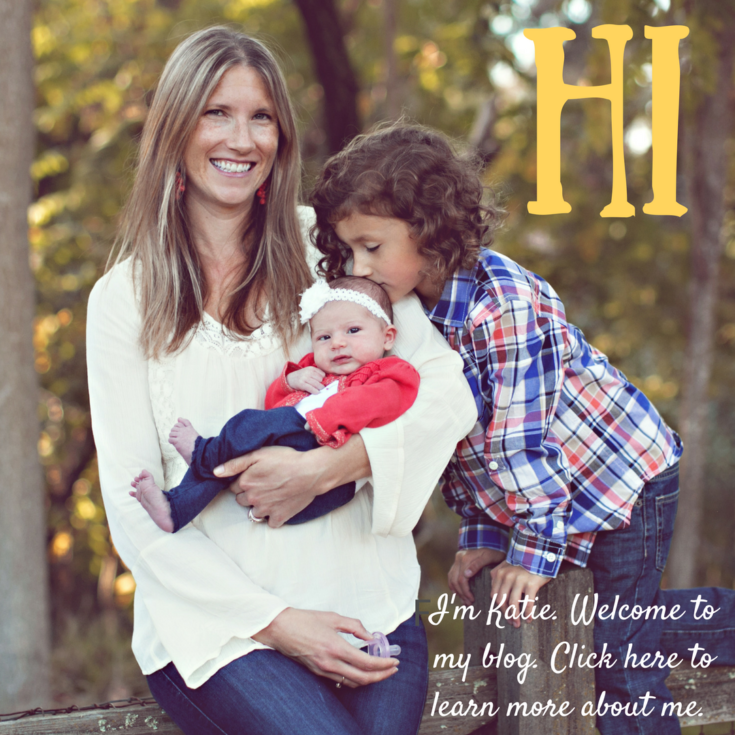 I have just started getting into TpT more, and there are SO MANY awesome products our fellow SLPs create and sell there! Here are a few to choose from…some I have used (with a different sound set) or were recommended to me. R Bingo by Jenn from Crazy Speech World (SLP Gone Wild) Who doesn’t love Bingo?? I like to use mini M&Ms as markers…super motivating! Whack a Sound by Jenna of Speech Room News I have used this game with a different sound set and my clients have LOVED IT. Artic Dice 6: Vocalic R by The Buckeye Speech Path. I have not used this specific set of artic dice but I have used other sets by this creator and I love using them both in the speech room (you can laminate them) or as homework. So tell me now…what are YOUR favorite resources and products for the /r/ sound? Let me know so I can include them in the post! Don’t want to miss future posts? You can have posts delivered via email! just click HERE (be sure to watch for the confirmation email). 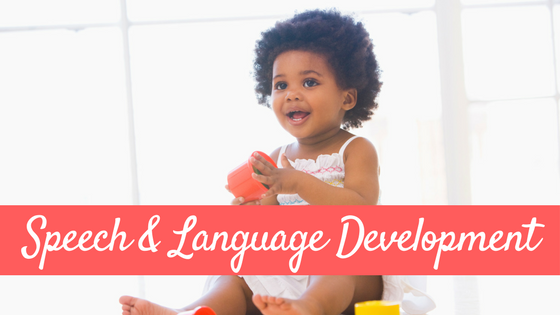 You can also follow along on Facebook and Pinterest for even more speech and language information and fun! Jenn recently posted..Using Craftivities in Speech…And Sea Turtles! Thanks for this amazing post! I’m honored that you included Mirror-TIC! Thank you for this post Katie! The link for Pam Marshalla’s cake decorator tips is broken. Do you have an updated link?